The advantages to being a food blogger never cease to amaze me. Since I have started blogging, I feel like I get presents all the time! Seriously, a basket of truffles sent to the office, about a year’s supply of Pretzel Crisps, and brunches you couldn’t even imagine are just a few of the perks I have been so lucky to indulge in this past year. But the hard hat tour I was able to go on this past week may be one of my highlights. 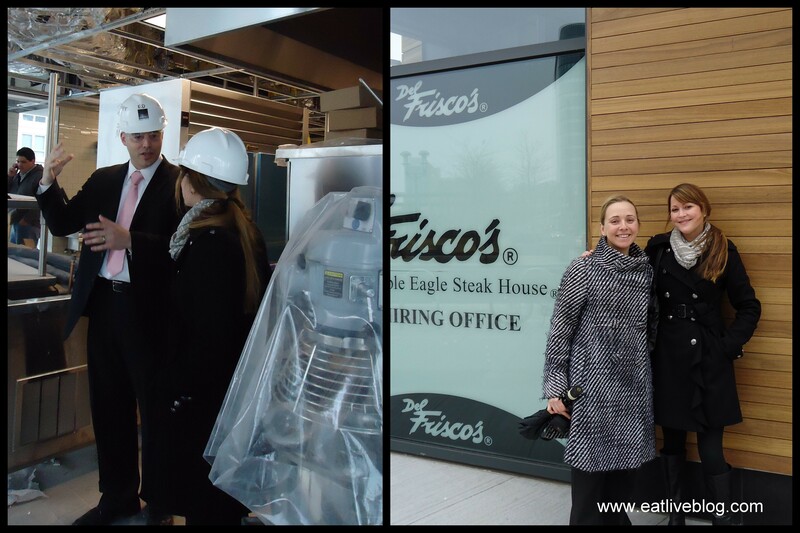 When the PR rep for Del Frisco’s Double Eagle Steak House asked me if I would like to go on a “hard hat tour” of the soon to open high-end establishment, I did not hesitate for one second before accepting the invitation. Del Frisco’s will be opening in the newly developed Liberty Wharf, where famed landmark restaurant Jimmy’s Harborside used to stand. If you haven’t been to this area in a while, prepare to be amazed by the transformation. When this project is complete, Liberty Wharf will, without a doubt, be THE Boston dining destination. With choices such as Remy’s at Liberty Wharf, Legal Seafood, Temazcal Tequila Cantina, and a rumored Italian restaurant by the people who have brought us Cheers, Del Frisco’s will stand out as the best choice for a fine dining experience. 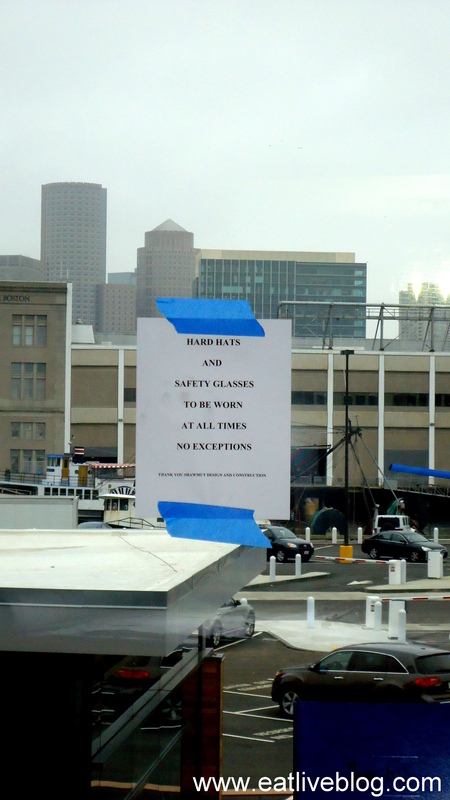 But how will Del Frisco’s be different from the other Boston choices? Well, it is hard for me to say without trying the food yet, but what I can tell you, is this is one IMPRESSIVE set-up! 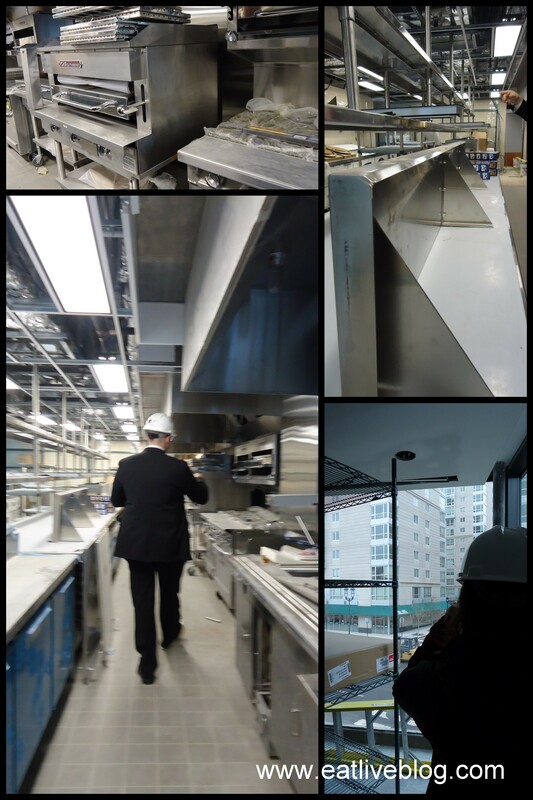 The mahogany that will line the walls was still being delivered when we took our tour, but by the way GM Gregg Rinaldi described ever detail, we could already feel the luxury all around us…even in the midst of saw dust! Many of the walls and room dividers will double as wine cases. As a matter of fact, Del Frisco’s will boast a selection of over 1200 wines! 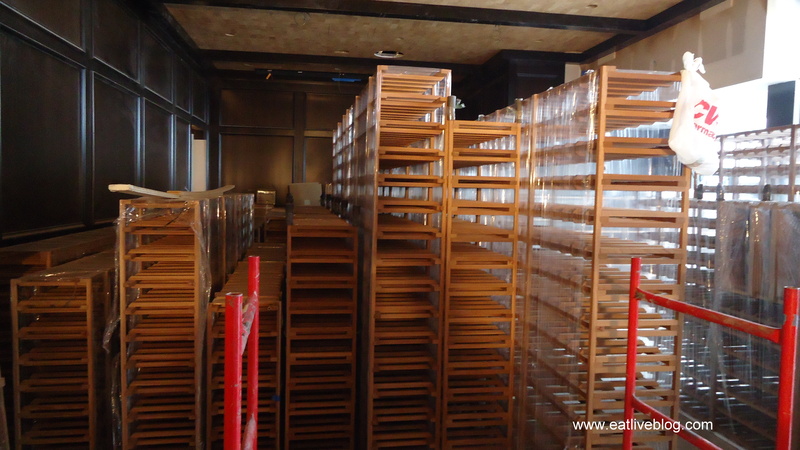 That is a lot of wine racks! And the views! Every seat in the house, from the bar, to the lounge, to the dining room, to the private dining room and the patio, will have a clear view of Boston Harbor. On nights when there are concerts at the Bank of America Pavilion, you would be better off sitting on Del Frisco’s patio than you would be even attending the concert! Now, I know what you are thinking. Great, it is going to be beautiful. Wonderful, they will be in one of the best locations in the city. WHAT ABOUT THE FOOD??!! Ah yes, I saved the best for last! Now, I cannot personally vouch for any of this, not having tasted the food. However, reputation counts for a lot, and Del Frisco’s has an unparalleled reputation. Every Del Frisco’s location has been recognized locally with “Best of” awards by its home city. They have won national acclaim receiving awards such as the Di Rona Award for Distinguished Restaurants of North America; Nation’s Restaurant News Fine Dining Hall of Fame; Restaurants & Institutions Magazine Ivy Award; and The Wine Spectator “Best of” Award of Excellence. 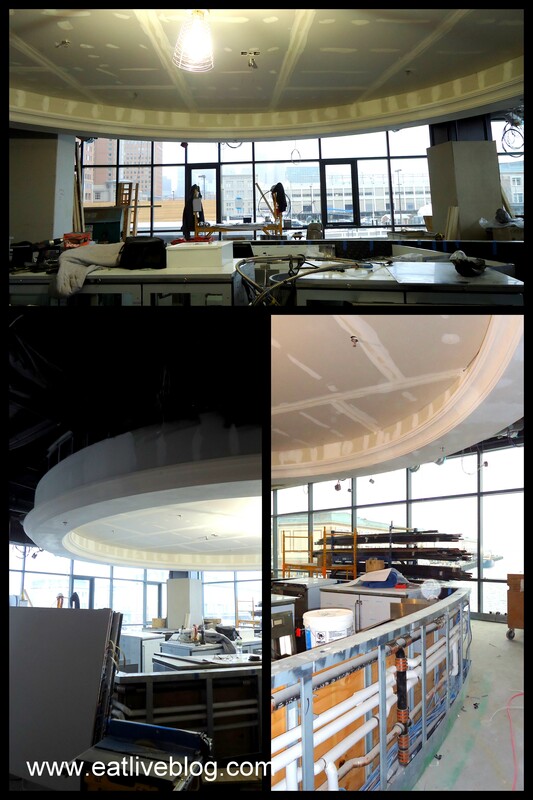 This will become Del Frisco's state of the art circular bar with amazing views and a custom made spiral bottle case that will come down from the ceiling! The menu offers the finest quality and selection of meats and seafood. Acquired straight from the Midwest, the restaurant’s prime aged, corn-fed beef is never frozen, and the chef cuts the steak to order right off the loin when the ticket enters the kitchen. Del Frisco’s has continued to source their quality beef from the same provider for more than 20 years. It is nice to know that a restaurant of this size is still concerned with the origins of their food. An artist rendering of the grand entry and the space that will become that entry. The restaurant also prides itself on serving the freshest seafood selections. With this prime waterfront location, the chef is able to purchase fresh-caught seafood LITERALLY straight from the boats of local Boston fisherman. As a matter of fact, the seafood for all of the Del Frisco’s locations has always been purchased straight off the boats at the Boston Seaport! Newly appointed Executive Chef Derek Barragan has already started to go down to the docks frequently to get acquainted with the fishermen and their daily catch. So that bodes the question, why the heck hasn’t Del Frisco’s opened a Boston location sooner? Well, they were waiting for the perfect location of course! Well done Del Frisco’s, well done! 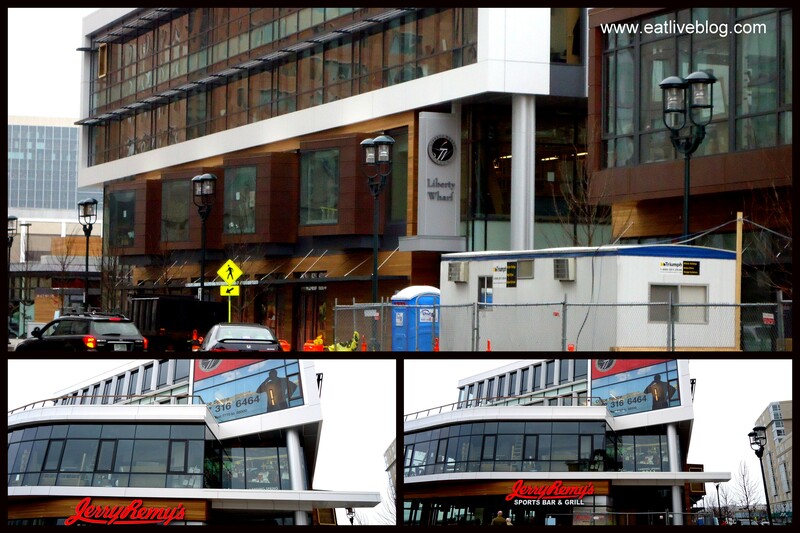 Del Frisco’s is scheduled to open April 23, 2011 and is located at 250 Northern Avenue, Boston, MA 02210. A special thank you to Del Frisco’s for taking me on this behind the scenes tour! 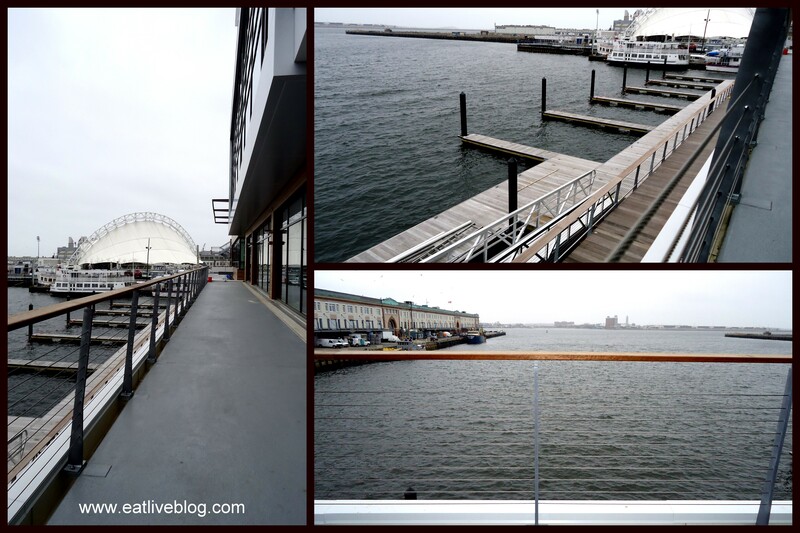 This entry was posted in Reviews and tagged blog, boston, Del friscos, fine dining, food blogger, liberty wharf, restaurant, restaurant review, review, seafood, seaport, special occasion, steak, steakhouse by reneeh. Bookmark the permalink. But will they serve brunch !?!?! This place sounds really impressive! AH-you got to see the wine racks! they werent there yet when I went! 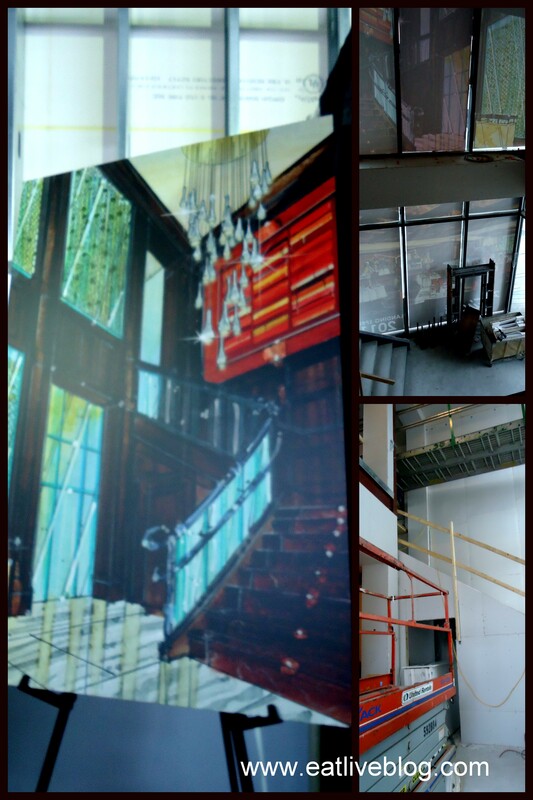 I cannot wait to check this place out when its completely open- what an AMAZING space and gorgeous views! I have had the pleasure of eating at Del Frisco’s locations in NYC and Vegas numerous times (probably more than a dozen). Of all the high-end steakhouses, Del Frisco’s is without question the best of the best. Their steak is literally mouthwatering and while pricey, is worth every penny. I cannot adequately express how excited I was when I heard the news that they were finally coming to Boston. Isn’t Mindy the best?! She got us on the guest list for the opening party last week and it was an amazing event. They have certainly set the standard high for the rest of the Boston steakhouses! Check out my pictures from the Del Frisco’s opening party! Pingback: Del Frisco’s Boston Opens their Steakhouse with Style! « Eat.Live.Blog.